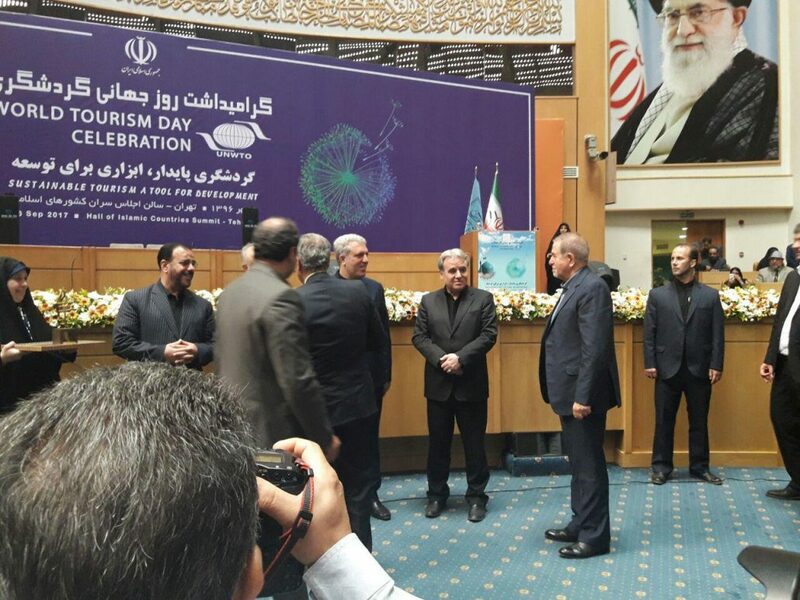 World Tourism Day (WTD) is annually held on 27 September. The purpose of WTD is to make the international community aware of the social, cultural, political, and economic values of tourism. 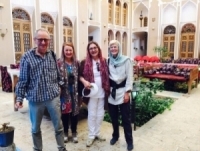 Iran as a developing country has always tried to get the most out of its tourism potentials by attracting more tourists to visit beauties of Iran and to get them more familiar with the rich ancient culture of the country. 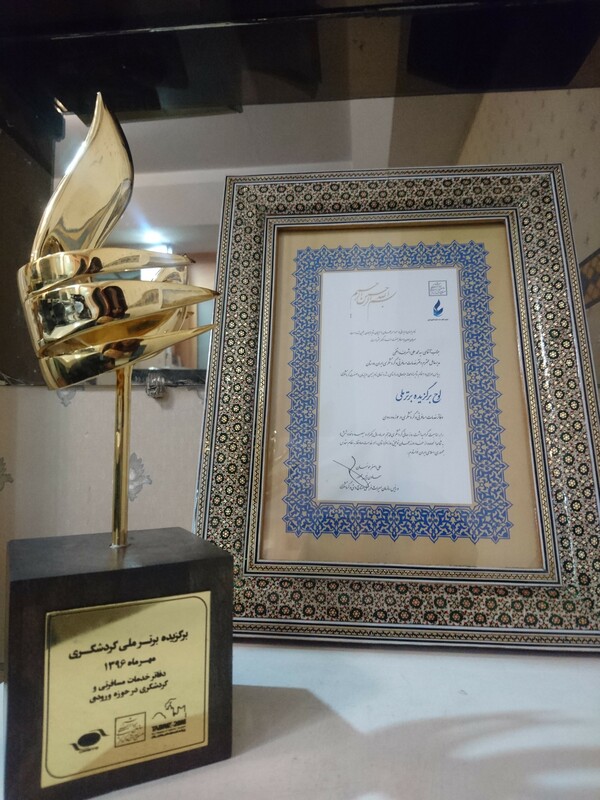 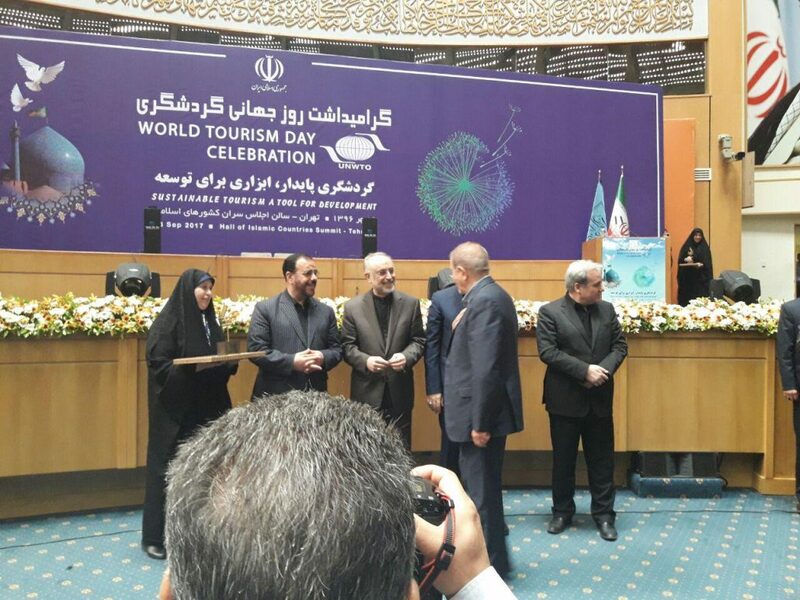 World Tourism Day 2017 was commemorated in Tehran’s Islamic Summit Conference Hall on September 26 and Ali Asghar Mounesan as Vice-President and Head of Cultural Heritage, Handicrafts and Tourism Organization of Iran (ICHHTO) offered the statue and the appreciation letter of the best Iranian tour operator in the field of inbound tourism to Mr. Mohammad Ali Vaghefi. 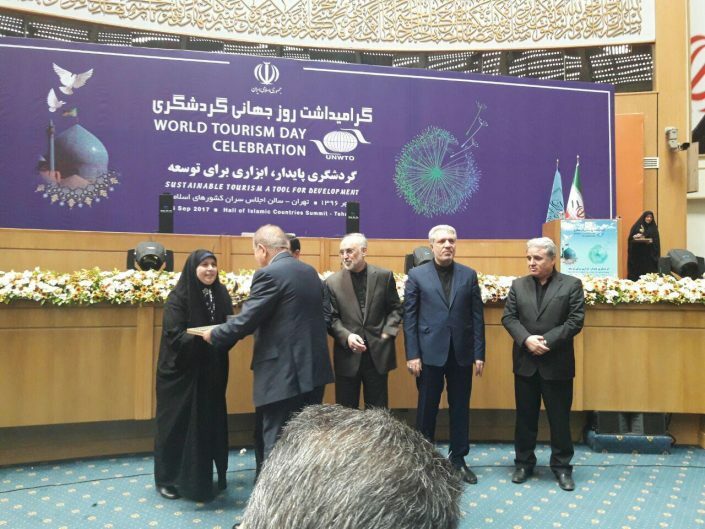 Mr. Vaghefi is the Managing Director of Iran Doostan Tours Co. Iran Doostan Tours Co. is a business expert in travel industry since 1990 and it has always attempted to keep the company’s focus on innovation and customer engagement and satisfaction.